So, as I've mentioned, there is a really decent antique/curio shop around the corner from my apartment. They actually have a decent number of razors, from Schick injectors to straights. I got my Super Speed there, my Taylor Eye Witness 5/8 half hollow, my Allegheny Instruments 5/8 near wedge, and this Simmons wedge. 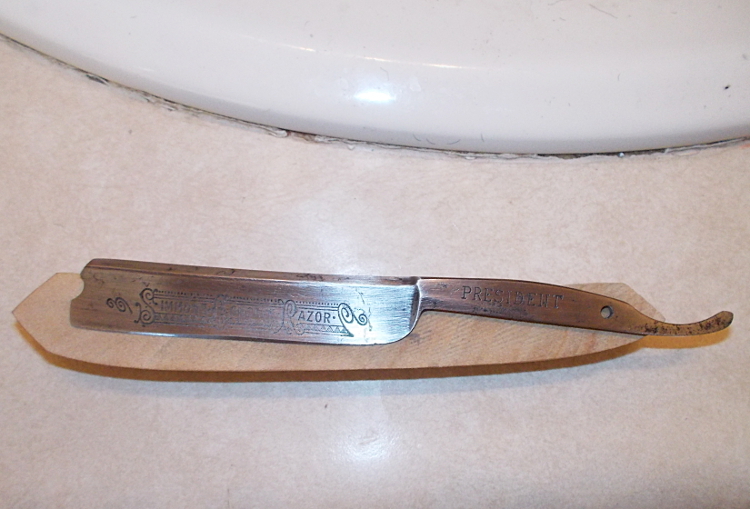 All of the other razors were in good or better condition upon purchase. This Simmons came with some active rust, broken scales, and a couple small dings in the edge. They only wanted $20 for it, so I bought it. 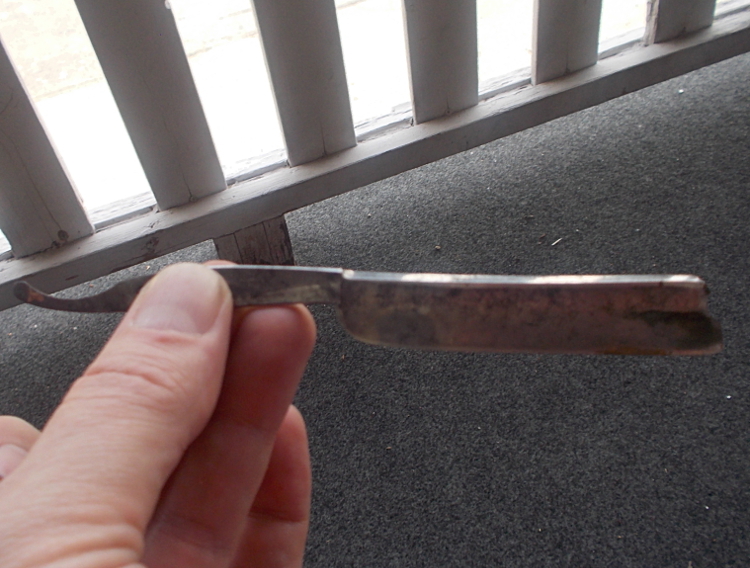 You can see the patina formed and the active rust on the edge and tail. There is some pitting, but nothing huge or devastating to the integrity of the metal...just needs some love. I took the templated butternut wood, and cut the general shape down with a hand saw, then sanded it to a better shape using a random orbital sander, which is, by the way, the only power tool I own. The plan is to actually make 1 piece scales. after sanding this wood down to a close-to-final shape, I'll use some small wood files and a fine hand saw to carve out the middle for the blade to fit. It will only be pinned at the pivot. The "wedge" will be solid. The finish will be a hand rubbed Tung oil. I really like how resilient Tung oil makes your finished piece. It hardens the grain from the inside out, and builds lustre and gloss very slowly. The more coats you apply, the harder and more resilient the wood, and the higher the shine. It also does a wonderful job of enhancing the natural contrasts in a light wood like butternut, rather than using a stain and polyurethane. 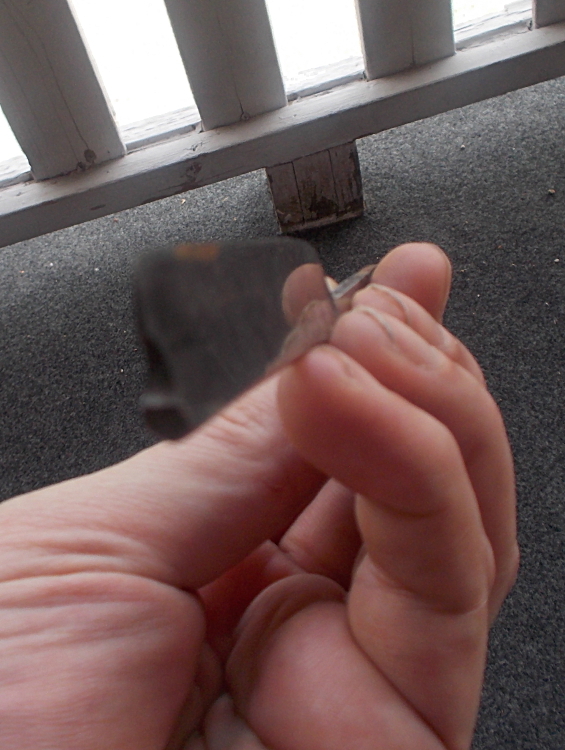 You can see how beautifully the blade is cleaning up using only 220 sandpaper and steel wool so far. 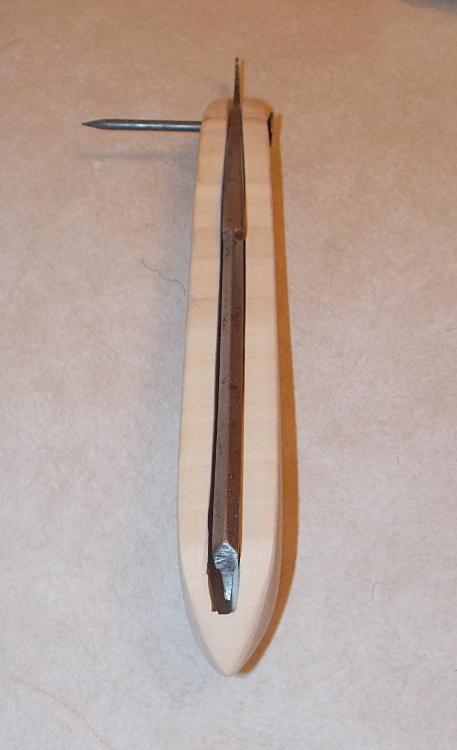 Before final fit, I will bring it down to about 400grit on the sandpaper, and polish it by hand with 0000 steel wool. 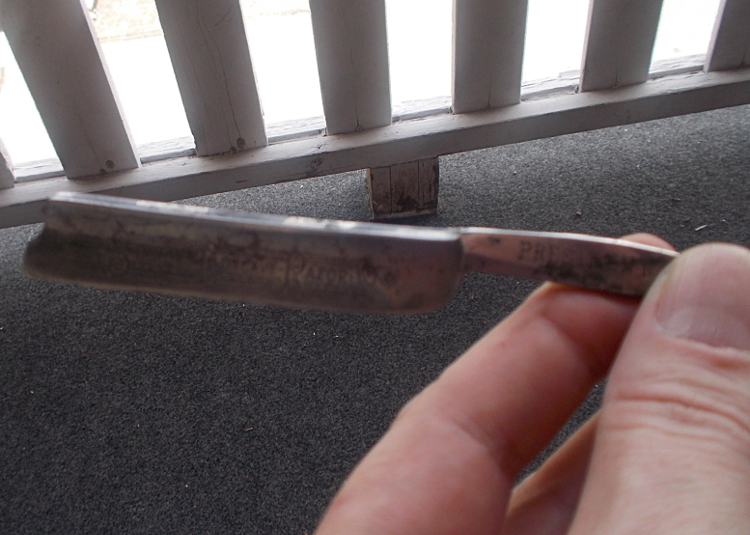 I want to clean it up, but I don't want to completely remove the patina on the spine and tang. Very nice Chris. I can't wait to see the finished product. Keep up the good work. Chris, is there anything you cannot do? Honestly, your talents are absolutely amazing and I so look forward to your posts. You are the one who should be helping rather than asking questions. Dang, you're good! Nice work so far Chris! 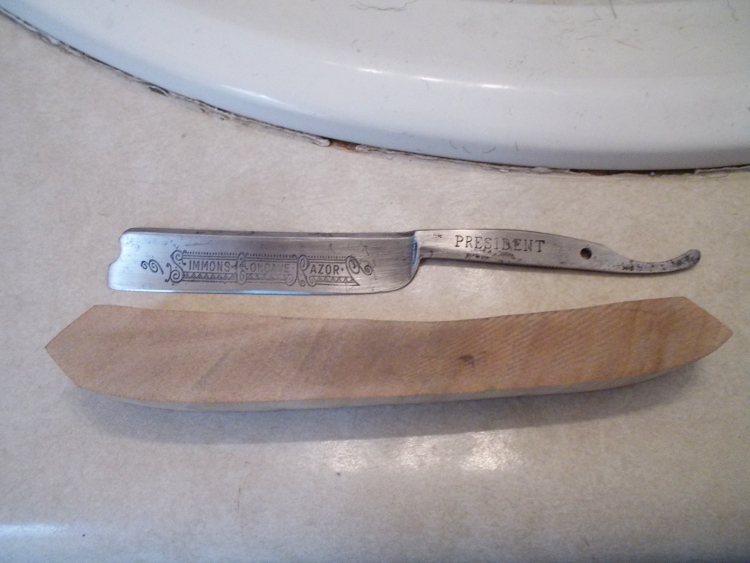 I would be torn between leaving some of the original patina and polishing that baby up. Tough decision for sure. I'm sure you will make the right one though. (05-16-2016, 12:10 AM)Freddy Wrote: Chris, is there anything you cannot do? Honestly, your talents are absolutely amazing and I so look forward to your posts. You are the one who should be helping rather than asking questions. Dang, you're good! Thank you, Freddy, but I assure you I am as unskilled as they come. As you can see from these photos, the scales are clearly made by an amature with unskilled hands holding the wrong tools. They are uneven and will be barely functional at best. But they are a start. The cool thing is that these were WAY easier to make than I anticipated, and I now know what tools will make it easier and cleaner...tools I don't currently own, but will in the near future. I can also start making these by the armload, if I want. It is my job at work to cut, sand, and finish all the wood mantels we sell and install. I have chunks of cedar, butternut, walnut, pine, fir, aspen, and even almond if I look hard enough, just lying around waiting to get thrown in one of the wood stoves or fireplaces. I can start practicing, getting better, learning some skills, training my hands and eyes to coordinate more accurately, and maybe eventually creating something worthwhile. Anyhow...I took a nail and mocked it up before final sanding and starting to oil it. I plan on using 8-10 coats of hand-rubbed Tung oil. This will probably take another week and change. 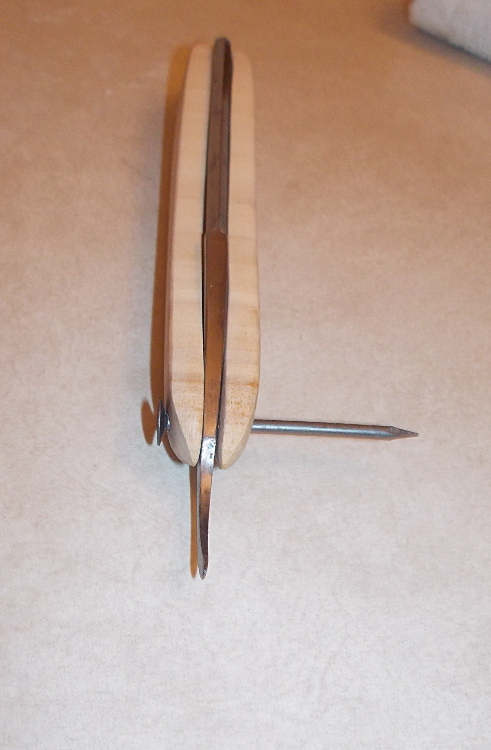 I'm going to get a silver pinning set from MaggardRazors.com, and we will see how it goes! It already looks completely different from the first photos. Well done! An imposing task that would have scared me off. 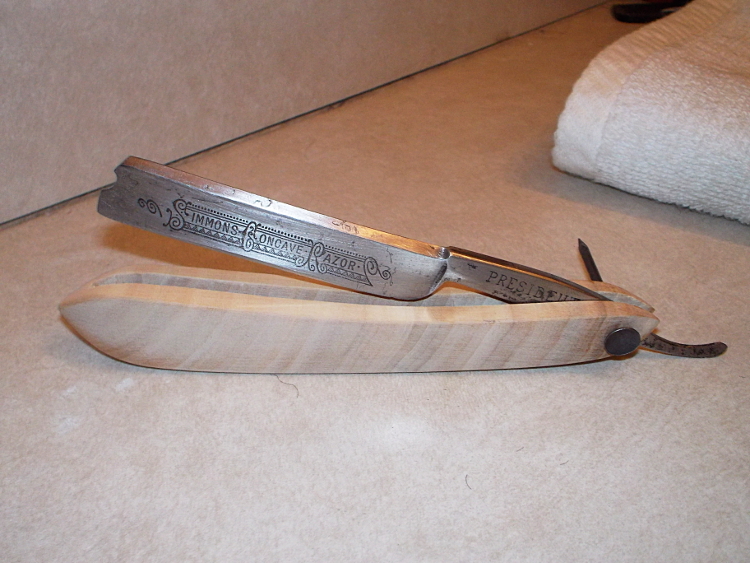 An ambitious undertaking and amazing skill and sensitivity have given that old razor a new and fresh life. Chris, your definition of "unskilled" and mine must either differ vastly! I would be not allowed near blunt scissors! Seriously though, your efforts and skill are doing wonders for that blade! Best of luck as you continue the process and I look forward to reading the next installments! I am standing by my original comment, Chris. Is there anything you cannot do? You are doing just amazing work and, as others have stated, I look forward to the next chapter of this work in progress.